Marvel Comics is finally reprinting the epic Mark Gruenwald "Cosmos In Collision" storyline from the '90s Quasar series featuring Wendell Vaughn, the protector of the Universe, taking on the half-Inhuman half-Deviant cosmic villain known as Maelstrom. 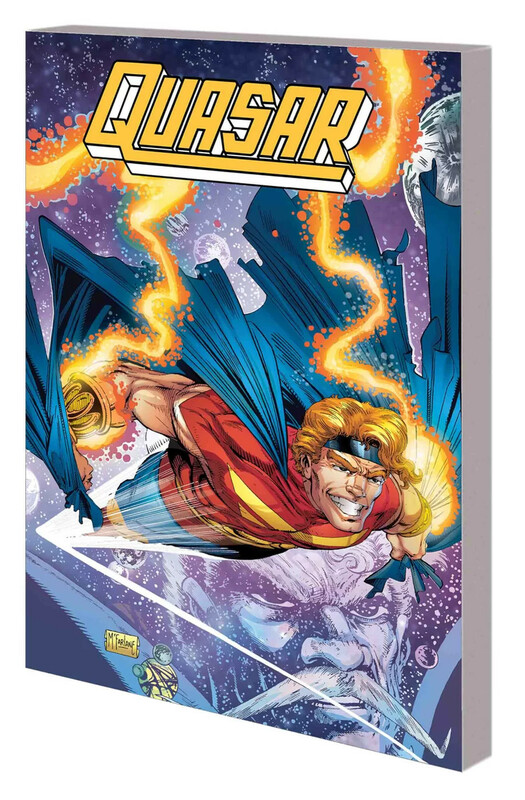 While originally solicited for a September release, I see Amazon has updated their listing to reveal the Quasar Cosmos In Collision TPB will be released October 23. While previously only a Spanish version was available, I recall petitioning Marvel Comics to get this released ten or more years ago when we launched the "Bring Back Wendell Vaughn As Quasar" campaign. 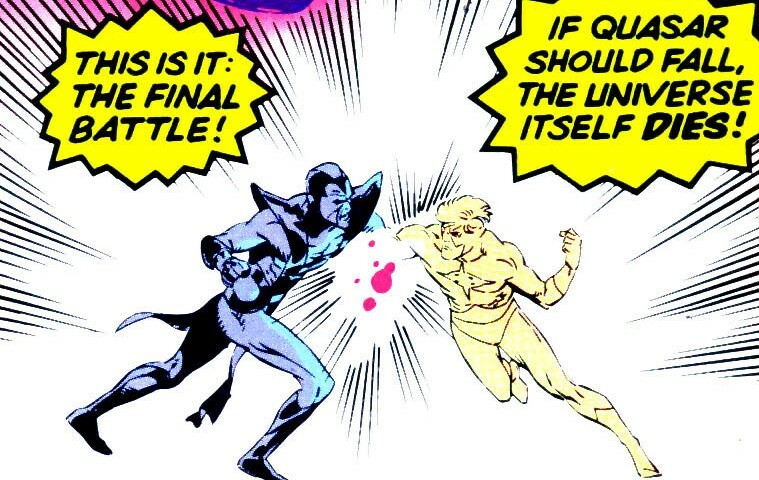 Marvel unfortunately killed off Quasar during the Annihilation event and replaced the character, which upset a lot of us Quasar fans. 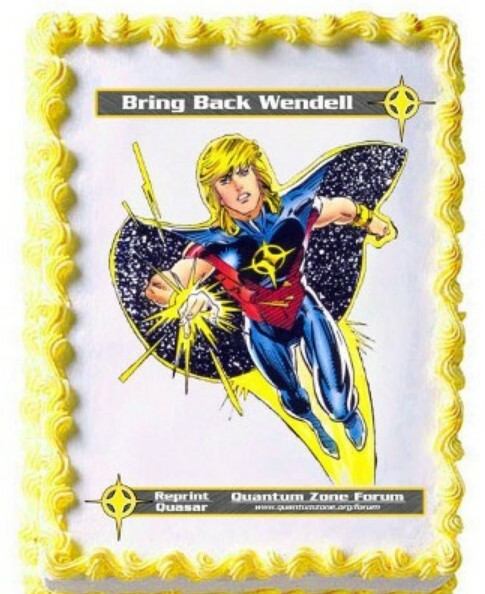 So we got together at the Quantum Zone website and came up with the idea to send Marvel Comics the now famous Quasar cake asking Marvel to reprint the classic series. We also sent Marvel real letters, t-shirts, fan art and petitions, which eventually led to the character coming back in the 2007 Nova series. 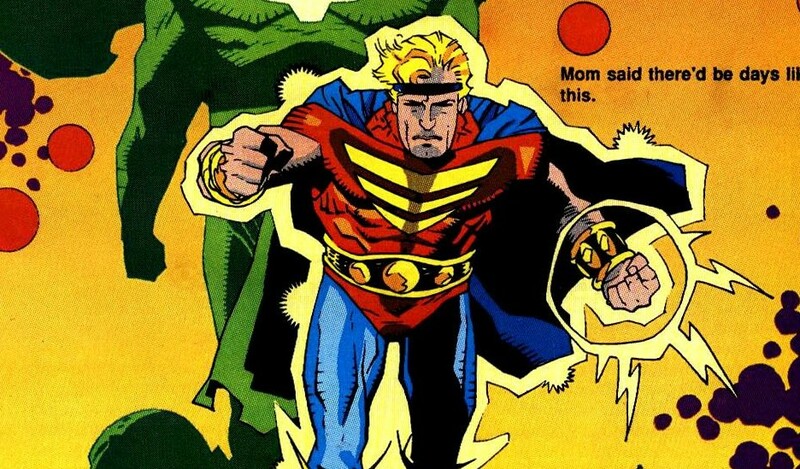 The "Bring Back Wendell Vaughn as Quasar" campaign actually led to the start of Cosmic Book News, as at the time, Marvel didn't really care much about the cosmic books, so I decided to create a website devoted to Marvel Cosmic comic book news ("Cosmic Book News"). Then editor on the books, Bill Rosemann, took a liking to us fans and regularly provided us with scoops, exclusive interviews, previews, solicit information, art and more. Bill Rosemann even credited us cosmic fans for the reason the James Gunn Guardians of the Galaxy movies got to be made, as without the cosmic fans supporting the titles (Guardians of the Galaxy and Nova), the comics would have quickly been cancelled and the movies never would have been made. So in essence, we see Quasar was responsible for the MCU Guardian of the Galaxy flicks! Go Quasar! Fun fact: Superstar artist Greg Capullo got his start with Quasar!